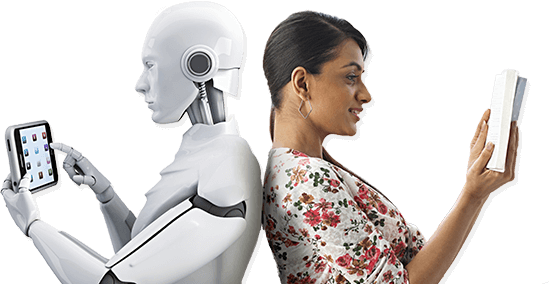 Through the Robomate+ app, a student can access study material in the form of recorded lectures (Audio & Video) of expert faculty, notes and test series for learning and revision. Robomate+ enables a student to revisit doubts time and again till complete understanding of the topic/solution is found. .
Just like a friend in need, Robomate+ stands by your side 24 x 7 during stressful exam times, helping you cope with study loads, exam pressure and at the same time helping you grasp subject material. Robomate+ is indeed your friend, helping you beat exam stress as well as solving all your last minute exam-related queries over and over again!